Custom designs to meet all your needs. Everything under the sun for your special day. We offer complimentary consultations. Flowers fresh from the growers! 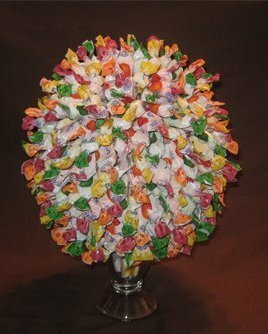 My candy centerpieces can be customized with your choice of any individually wrapped candy! Delivered free within 30 miles of Sacramento (with a $20 minimum purchase). All your party needs and more! Centerpieces, room decor, buffet decorations and more. Visit our Web site to see our work. Your Day makes your wedding day extraordinary, so you can remember it for the rest of your lives. From the beautiful stage decor to the exquisite centerpieces, we do it all. We go out of our way to make your wedding day, the wedding of your dreams.